Introducing this fantastic oriental parasol. 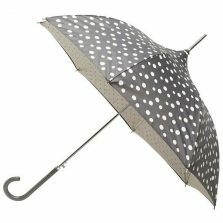 This parasol makes for a great travel companion and will certainly keep you both stylish and dry! 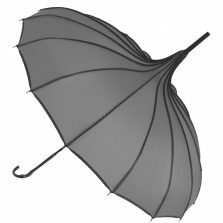 Pagoda umbrellas are becoming increasingly popular, previously always the choice in fashionable society but now you’re likely to see a pagoda umbrella not only on the cat walk but actually out and about on the street – and I don’t just mean Oxford Street. 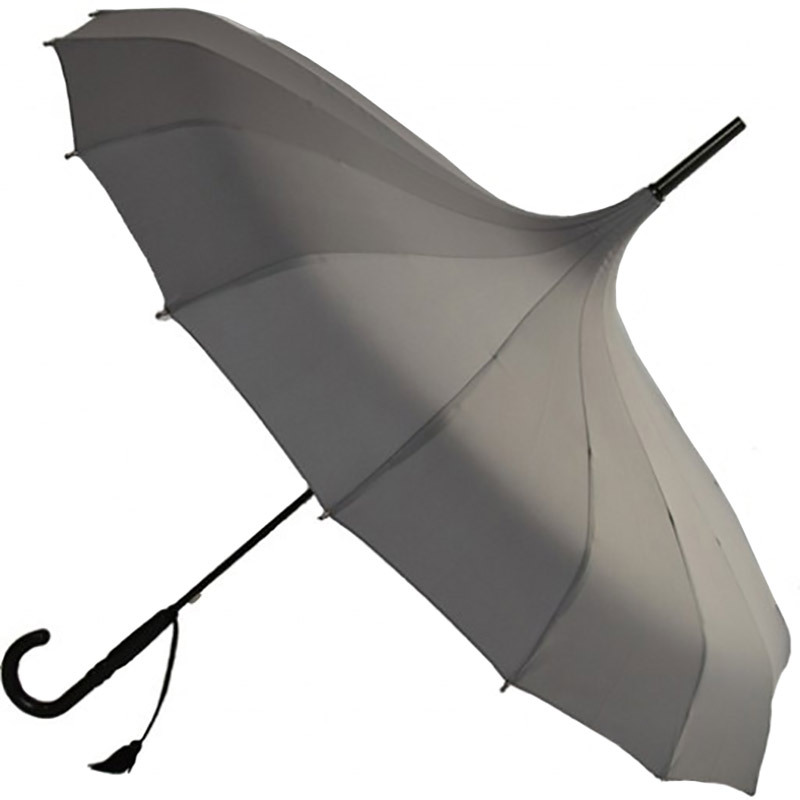 Treat yourself to one of these smart grey Pagoda / Oriental Parasol. It features a luxurious 16 panel, 84 cm wide oriental pagoda shaped canopy, which looks a million dollars and provides ample cover in the rain. This grey oriental parasol is an ideal umbrella to match that grey outfit or suit. 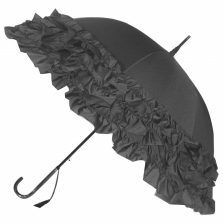 With that big canopy and slightly exotic shape, this charcoal grey, pagoda oriental parasol makes for a delightful ladies grey parasol too. Different enough to turn a few heads, while still superbly practical. Dainty, distinctive and a stylish. The black moulded crook handle and matching shaft tip on this oriental parasol really is superb, as well as also featuring a superb 16 spoke frame with contrasting rounded steel pewter rib tips, with a strong black steel shaft. A classy tassel on the handle completes this elegant brolly with a little flourish. 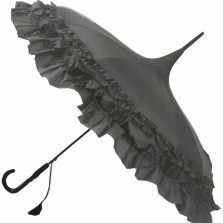 This smart grey ladies fashion parasol is great for everyday use or that special occasion.